Time to join the French revolution and get a proper taste of Europe’s biggest bike sharing scheme. 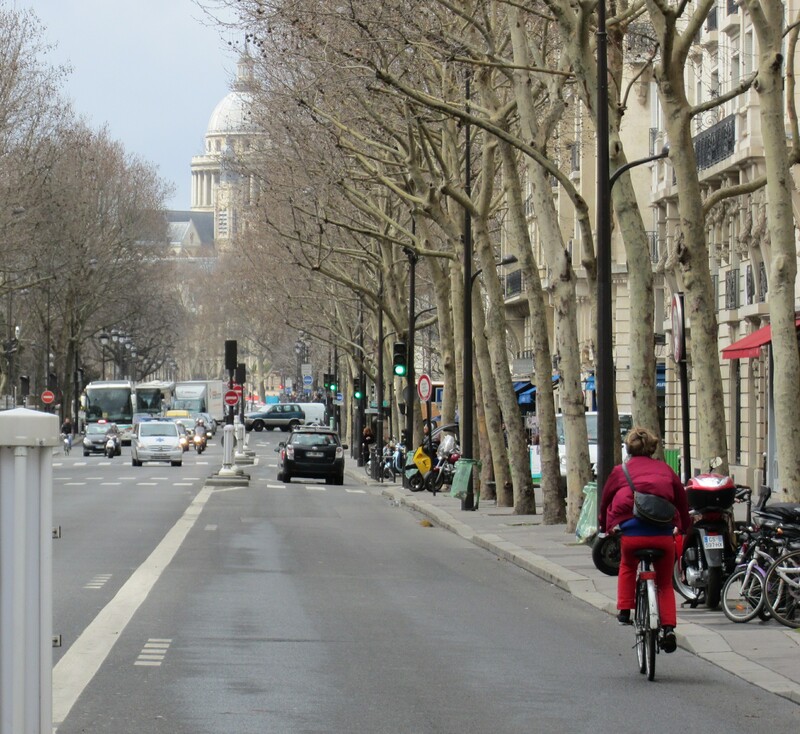 100,000 bike trips will have been made today by Velib, and one of them was mine. 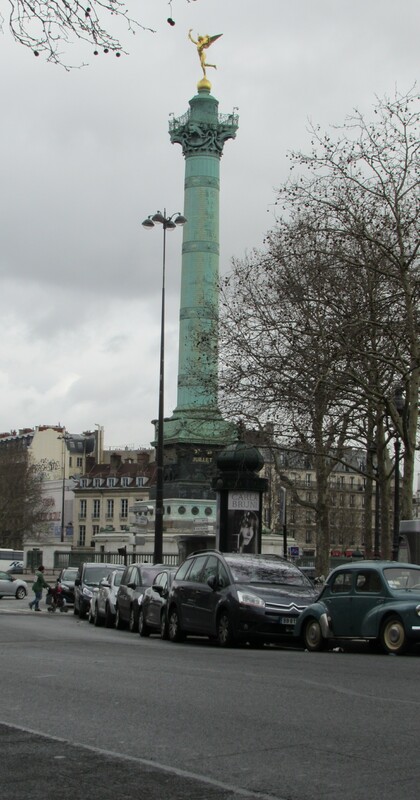 I was on a work trip to meet the team from JC Decaux who operate the Velib scheme in Paris and a lot of the other leading bike sharing schemes around the world. 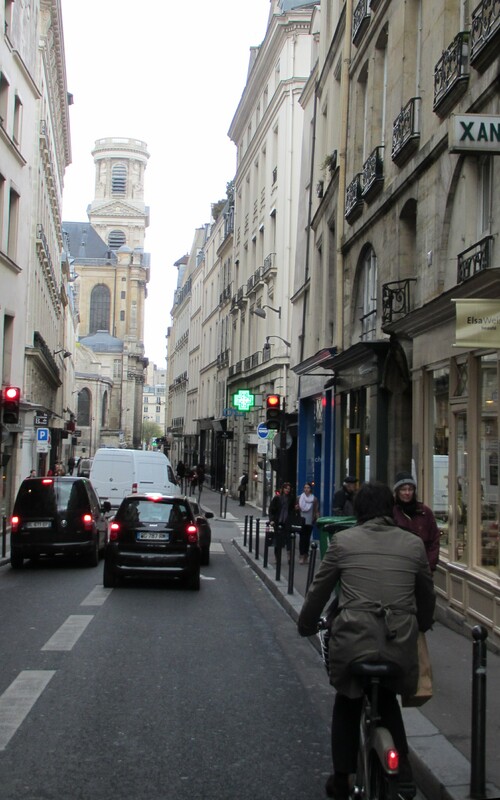 So of course we had to sample both the product and the city by Velib. 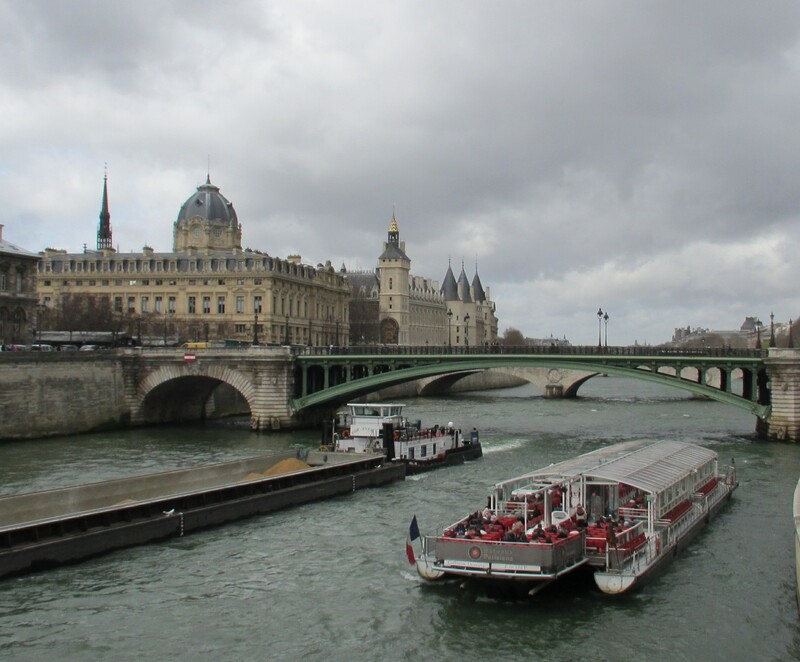 From Gare du Nord through the city centre and then continuing beyond the Rive Gauche. 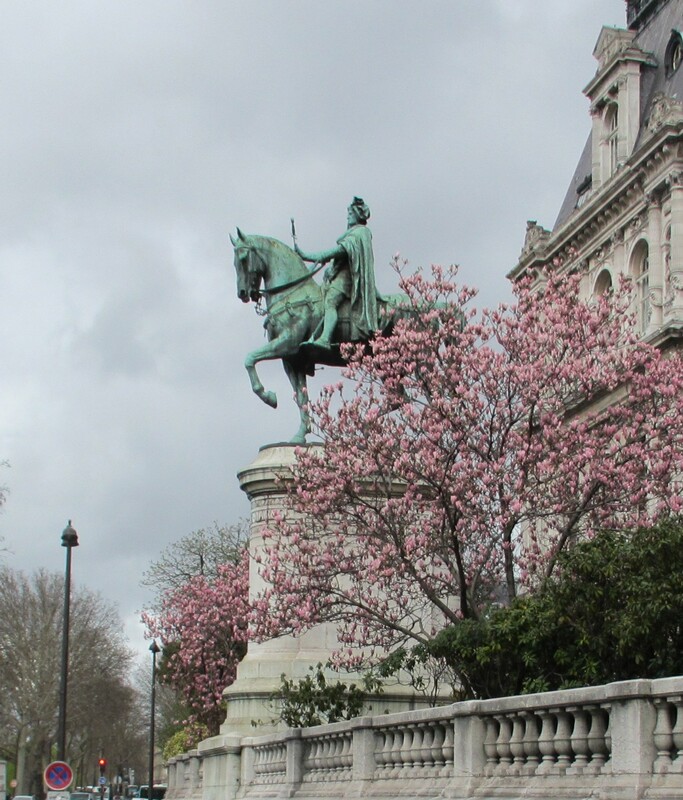 I was so busy following my hosts I barely had time to take snaps except while riding but it was almost like a promotional video, one minute pedalling along a busy street then “oh look – Place de la Bastille”, “oh look -Notre Dame”, the Seine, Rive Gauche… The best way to see a city, even if the gloomy skies and the delayed blooming of the trees didn’t quite give it the full spring look. 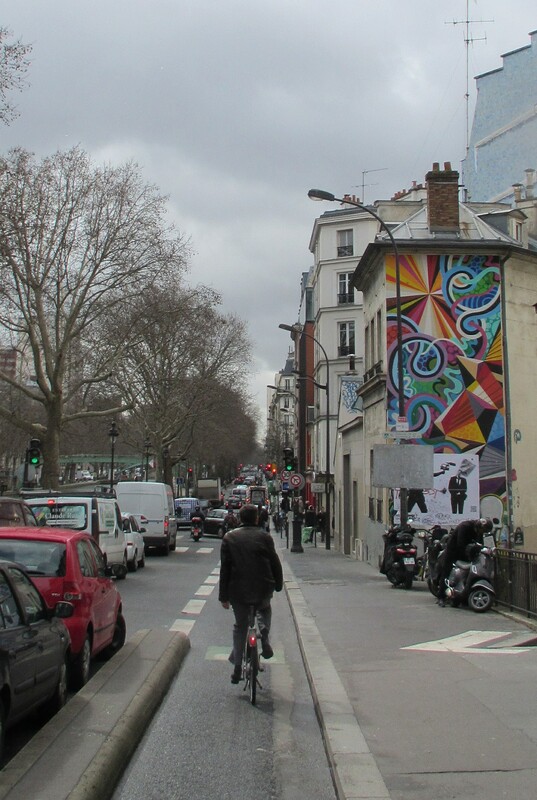 Lots of different infrastructure to try out too – from wide boulevards to dedicated cycle lanes and narrow back streets. 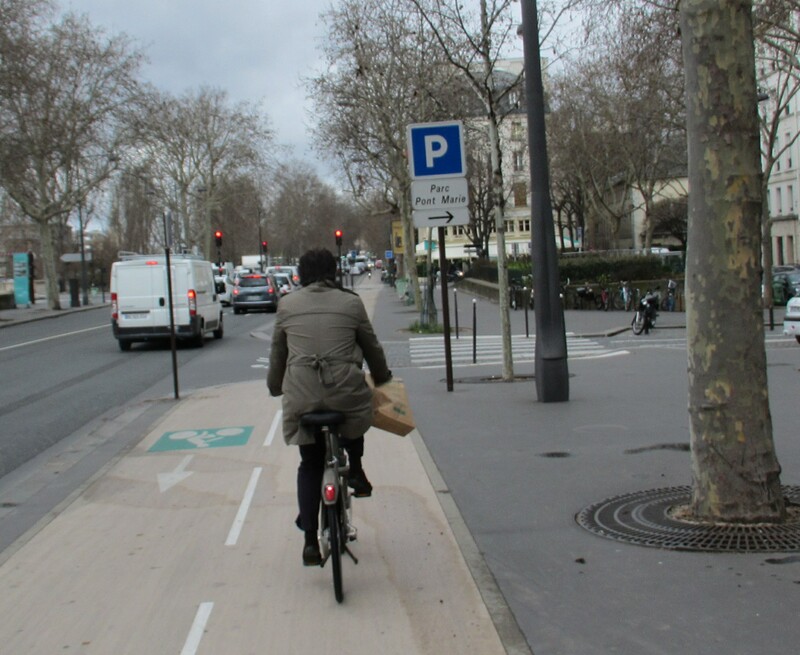 This isn’t connected up Dutch or Danish style, I reckon you still have to be a fairly confident cyclist to brave the streets of Paris but there were really long stretches that were direct and good quality. 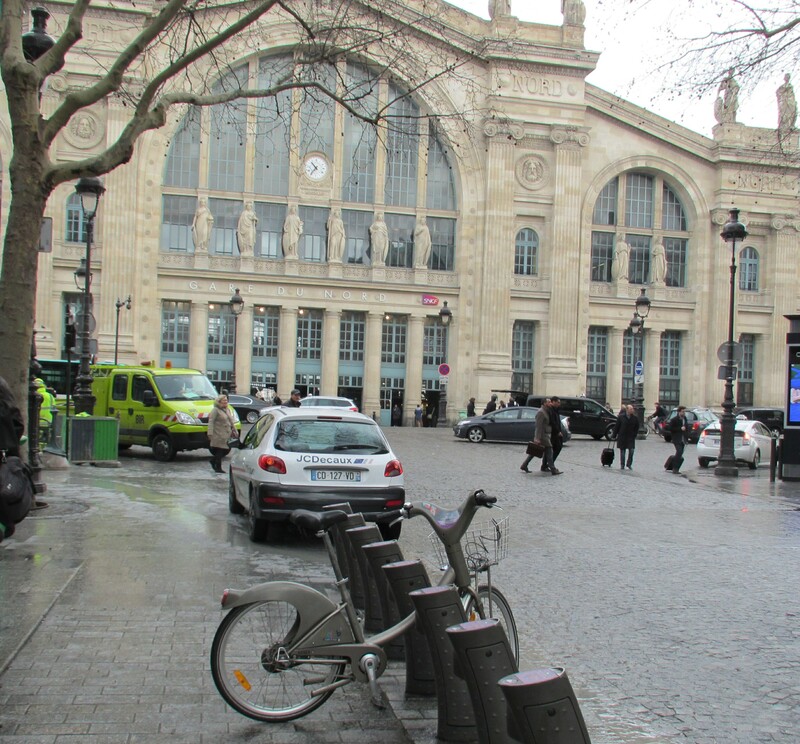 And the Velib were everywhere – loads of bike stations and clearly really high levels of use. I was told recent surveys are saying up to 43% of bike traffic on some routes – that is incredible. Chapeau indeed! 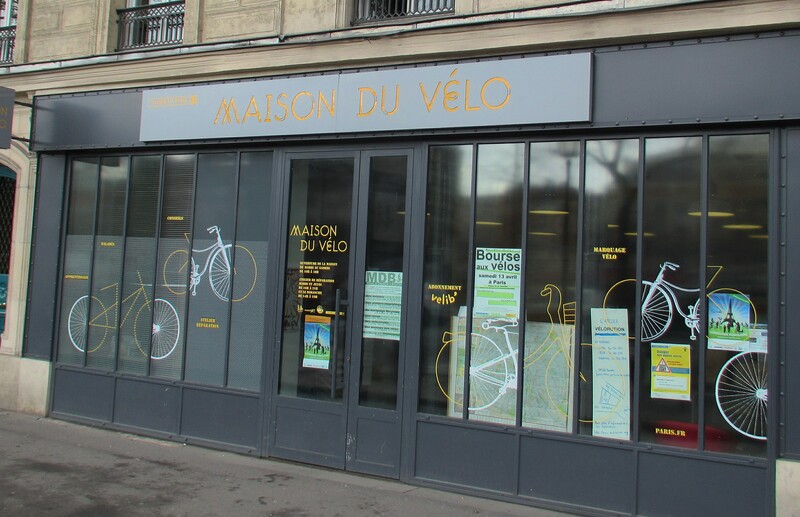 Even time for a visit to the Maison du Velo to meet the campaigners in Paris and the community bike workshop where people can come and fix their bikes or be taught bike maintenance. 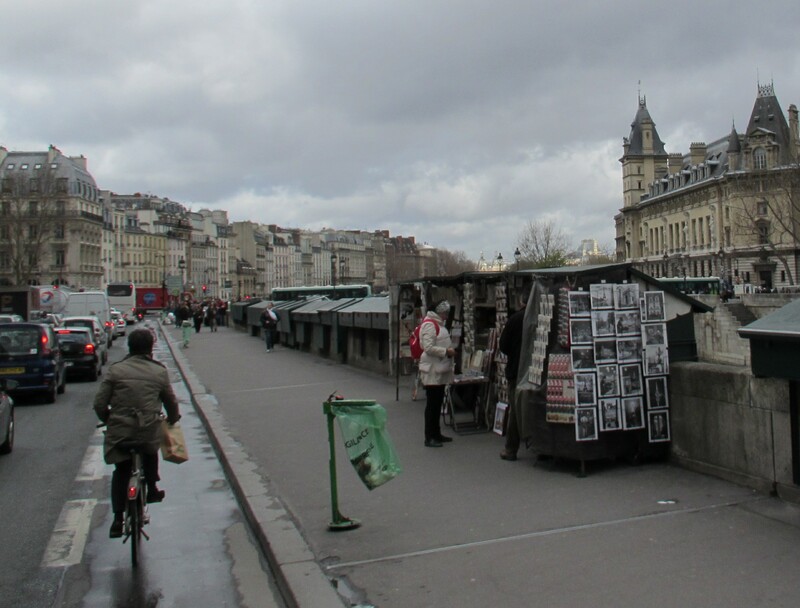 This entry was posted in Bikes, Countries, Musings, Travel and tagged Bike rental, France, infrastructure, Paris, photography, Velib, Visits by kevinmayne. Bookmark the permalink. 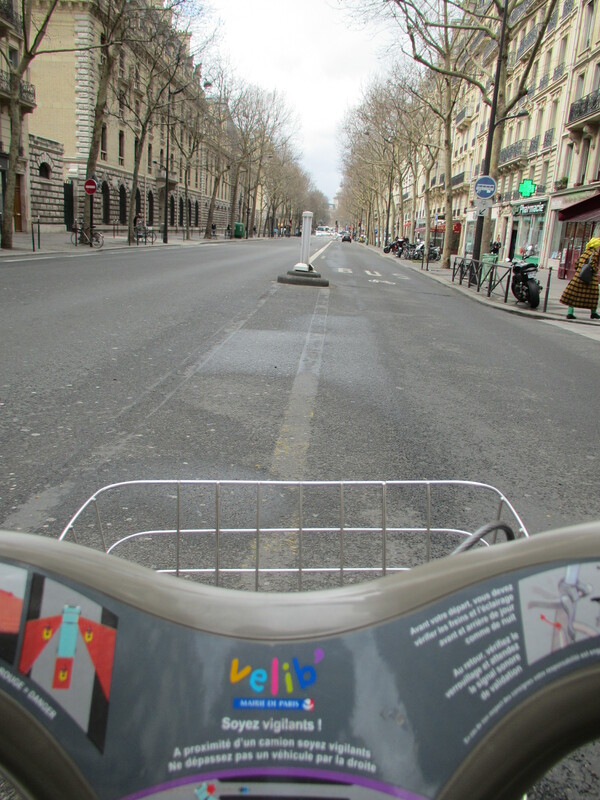 I think an important aspect of the Parisian experience is the ease with which a Velib can be hired. I am too thick to figure out the payment system in Brussels so I have never been able to manage getting a bike out of the docking station. In Antwerp a smartphone or a purchase of a prepaid card is required, as if to say that tourists are not welcome to hire the bikes. But yes, it’s great fun to pootle about in Pais on a Velib! I agree with you there, I have struggled with several schemes while travelling. 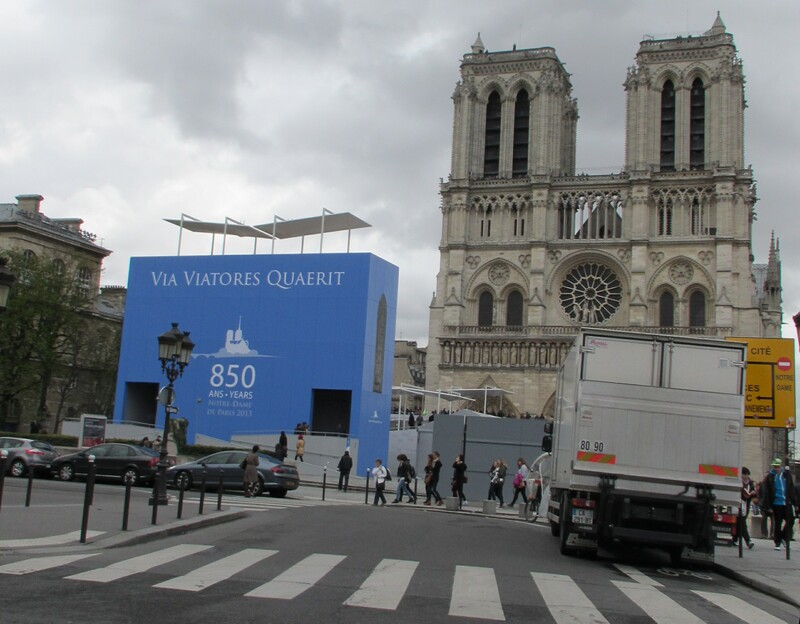 It’s a bit late to change the rule for 2013, but I think all future Tours de France should be ridden on Velibs to make it truly French. Remove the bike technology arms race and let it all come down to rider against rider, pharmacist against pharmacist.